Our 1st compendium of illustrated maps! 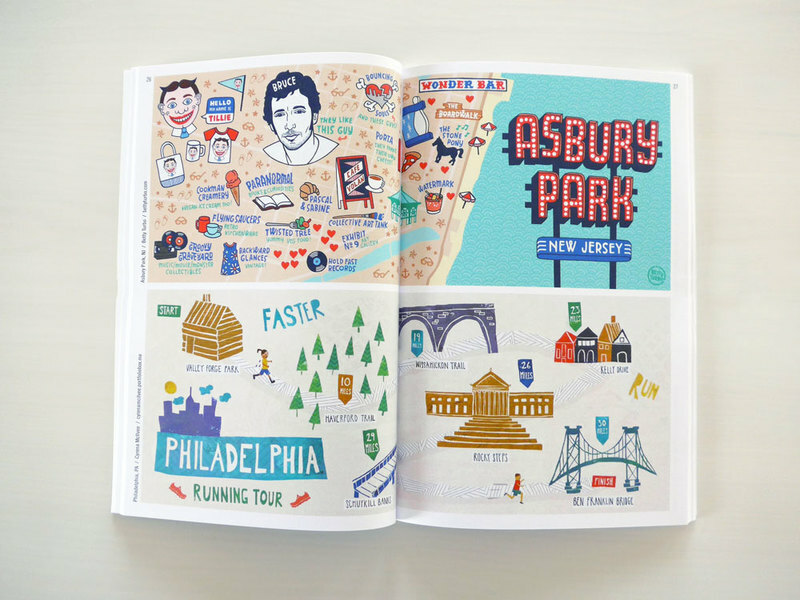 A great gift for artists, designers, illustrators, explorers and travelers! 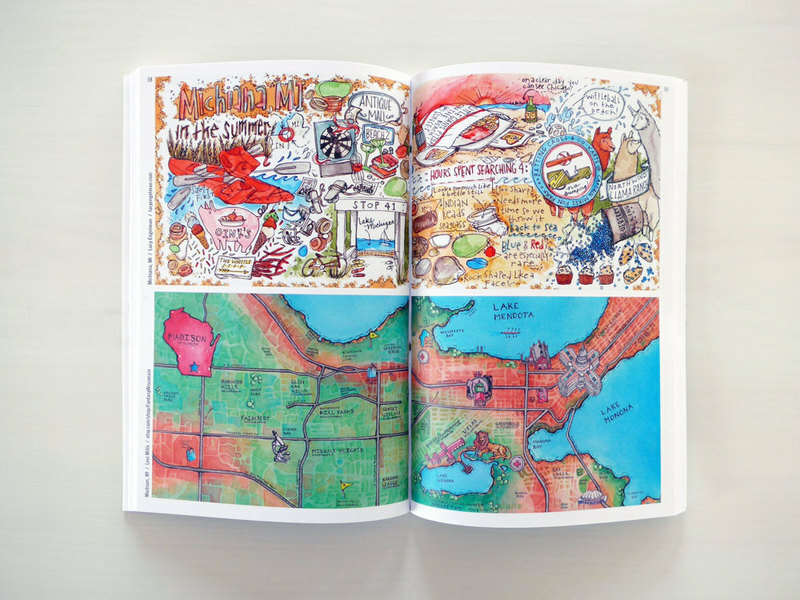 Visit the TDAT Shop for more illustrated map books or the TDAC Shop for illustrated cookbooks! In 2011, the brother-and-sister design duo Nate Padavick and Salli Swindell founded the website They Draw & Travel. Today it is the largest collection of online illustrated maps created by artists, illustrators and doodlers from around the world. 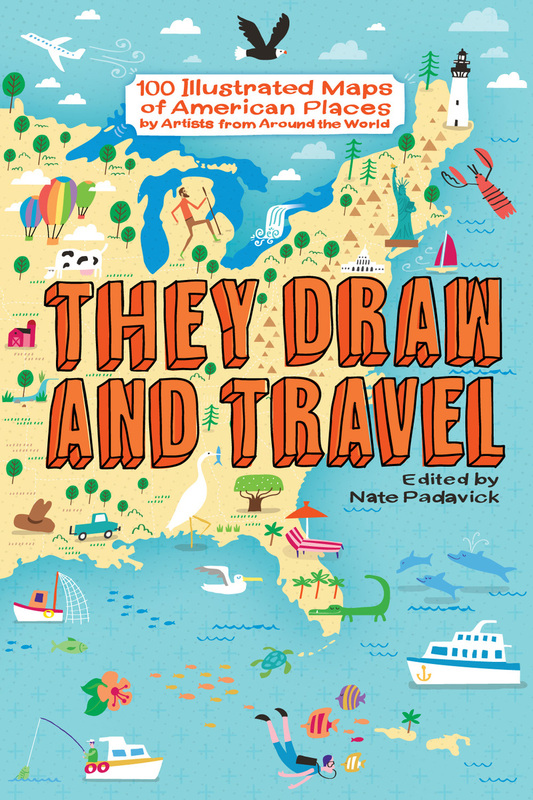 This book is a selection of 100 illustrations of places in the United States envisioned by the artists who contribute to the vast and diverse creative community on They Draw & Travel. 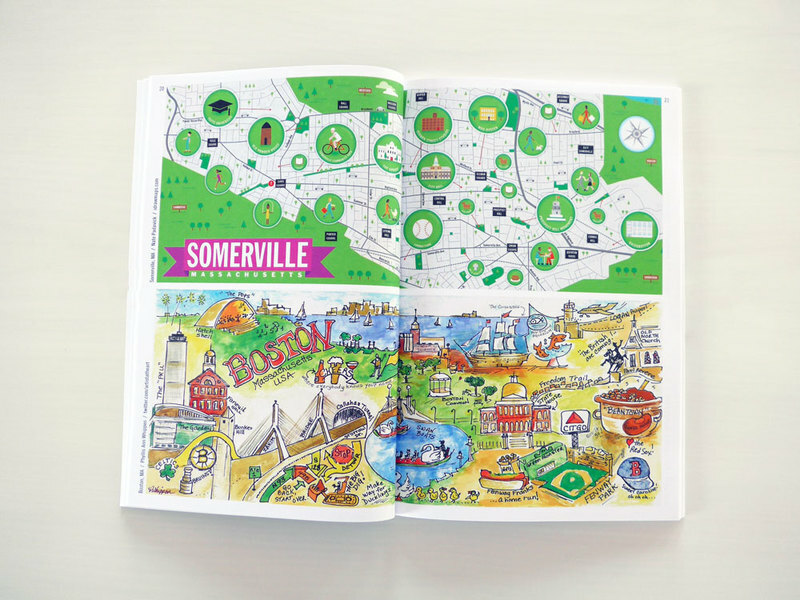 Including personal, practical and idiosyncratic perspectives on cities and towns—large and small—around the United States, the illustrated maps in this collection guide readers to the overlooked, forgotten and even underappreciated parts of American places, while celebrating the country's iconic cities. 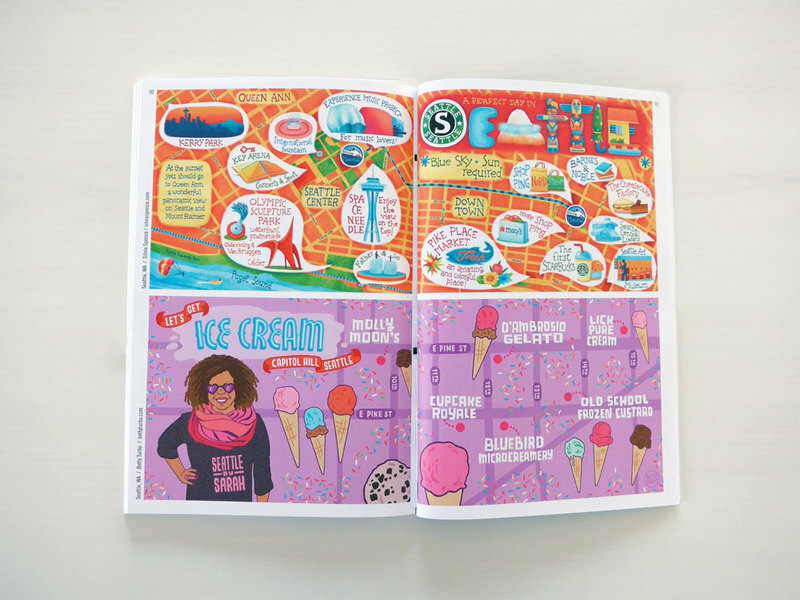 100 Illustrated Maps of American Places is a uniquely personal means for exploring and learning about cities through illustrated narratives by contributing artists. For example, do you know where to go for a really great urban hike in Brooklyn? Do you know there are over 36 places to eat cashew chicken in the town of Springfield, Missouri? Or, how about all the fun things to do with kids in Los Angeles? A fantastic bike route in Vermont? Hotspots in Anchorage, Alaska? Experienced on the road or in the chair, 100 Illustrated Maps of American Places is an exciting way to get to know a place.